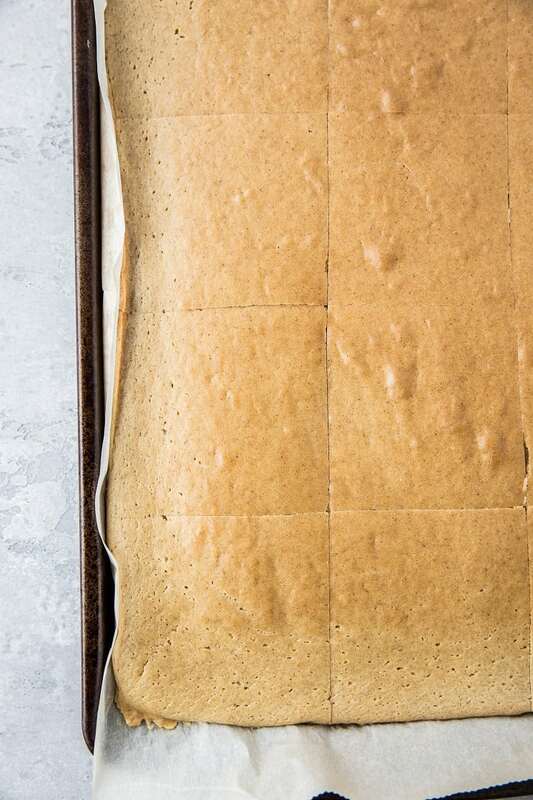 This paleo sheet pan pancake turns out so light, fluffy, and buttery in flavor that you’d never be able to guess it’s grain-free and dairy-free. You’re looking at my latest obsession. First and foremost, if you’ve been around this site, you know pancakes are a mega thing for me. Particularly Almond Flour Pancakes. 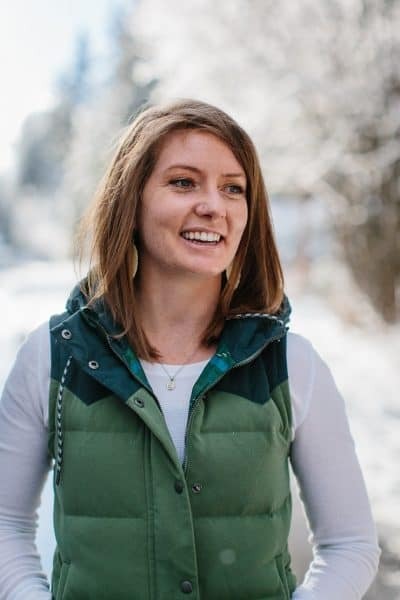 While I can totally get on board with some super fluffy Vegan Lemon Poppy Seed Pancakes, most of the time girl just loves her plain jane paleo pancakes. I recently began making my pancakes a la sheet pan. The concept is simple. You make one ginormous pancake to save yourself the time and attention span of hovering over the stove top flipping individual pancakes. And have you heard me speak about the bad pancake? Probably not. I’ll fill you in. The fact is, the first pancake (or first three pancakes if you’re working in triplicate) always, always is a flop (buhdumching). It either spreads or burns or scrambles, or some combination thereof. 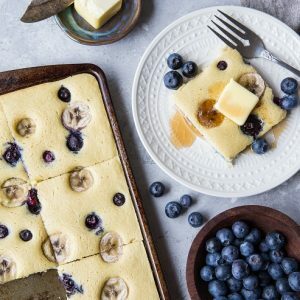 The sheet pan pancake? Eradicates bad pancake syndrome like a charm. Easy to customize and top with your favorite toppings. Start by preheating the oven to 350 degrees F and lining a small baking sheet with parchment paper. Note: If you do not own a small 9” x 7” baking sheet, double the recipe to accommodate a large baking sheet. 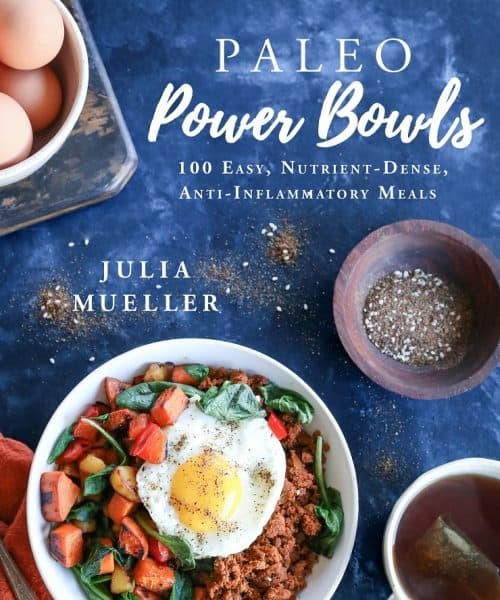 Prepare the pancake batter by tossing every ingredient in the blender and blend until smooth (note: if you don’t own a blender, you can prepare the batter in a mixing bowl with a hand mixer, or in a stand mixer). Pour the batter onto the parchment-lined baking sheet and smooth it into an even layer using a rubber spatula. Once the pancake is out of the oven, simply cut it into squares and serve! If you want to be super creative for kidlets, use cookie cutters to stamp out various pancake shapes! Go with blueberries, almond butter, and raspberry chia jam like I did! Butter and pure maple syrup? Always a winner. Caramelize some apples or pears for an epic pancake-meets-pie situation. Swap the almond flour for hazelnut flour. Replace tapioca flour with arrowroot flour (or more almond flour). Make these pancakes ridiculously succulent by replacing the almond milk with full-fat canned coconut milk. YUM! Add lemon zest and poppy seeds for a lemon poppy seed situation. Bake fruit (such as sliced banana and blueberries) into the batter for a real frisky time! 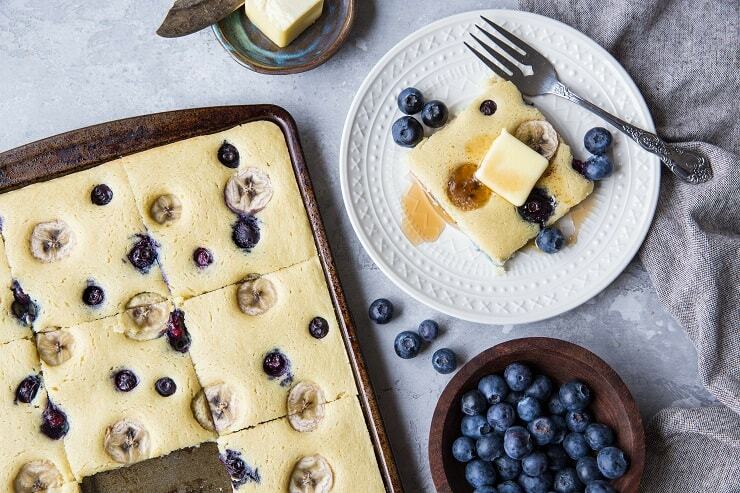 Sheet pan pancake forever and always! If you make these Paleo Sheet Pan Pancakes, please feel free to share a photo and tag @TheRoastedRoot on Instagram! 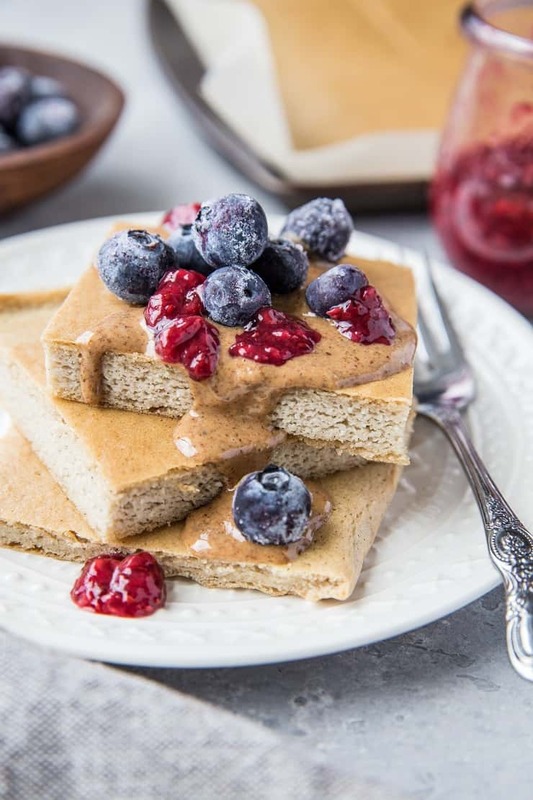 Light and fluffy paleo panakes made in a sheet pan. Paleo sheet pan pancakes are quick, easy, and healthy. 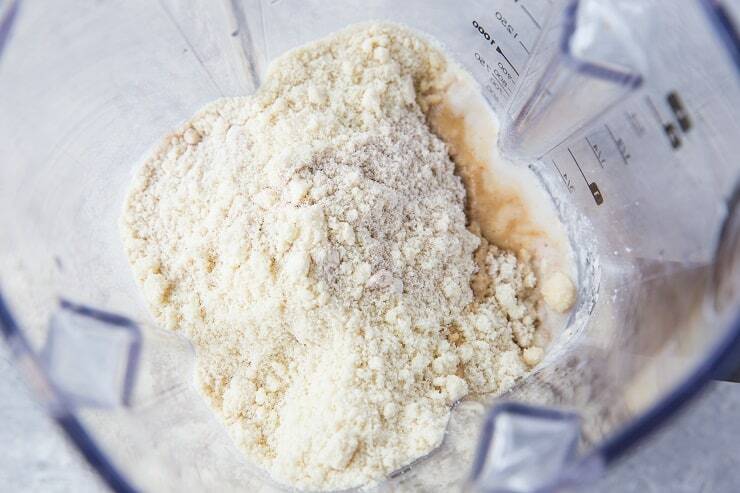 Add all ingredients to a blender and blend until smooth (or use a mixing bowl with a hand mixer). 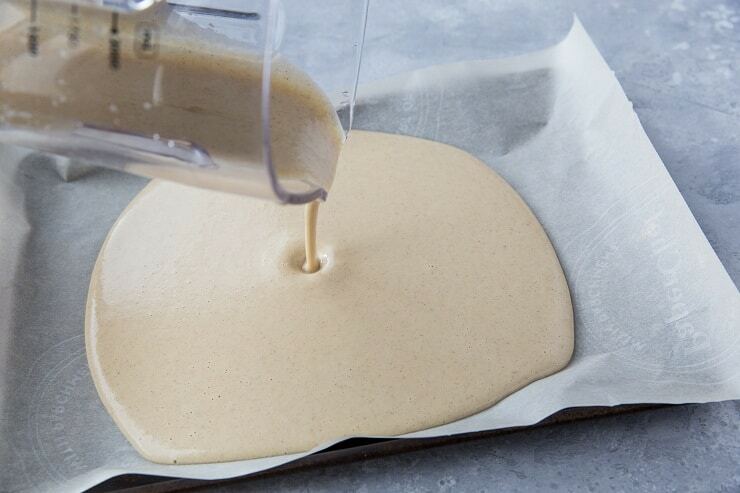 Pour the pancake batter onto the prepared baking sheet and smooth into an even layer. Place tray on the center rack of the preheated oven and bake 22 to 26 minutes, or until pancake is golden-brown around the edges and feels firm when poked. Allow pancake to cool 5 minutes before slicing and serving with butter and syrup.